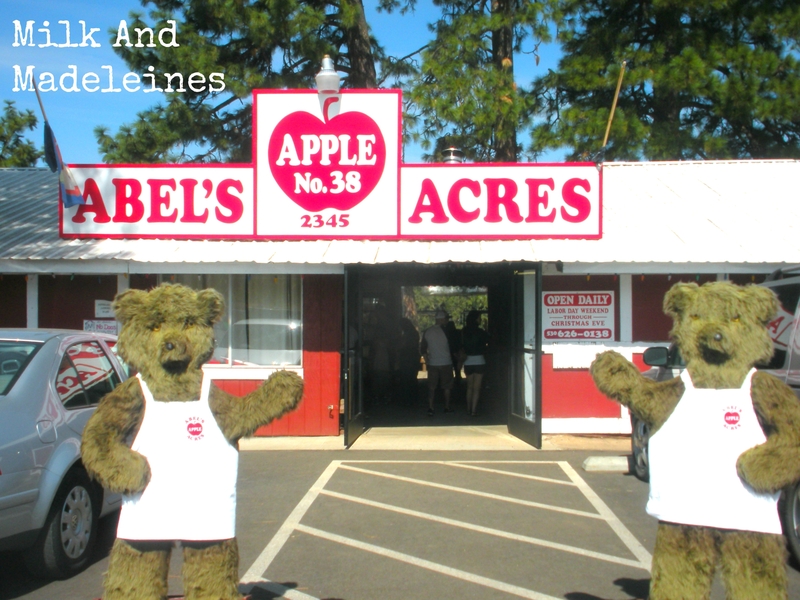 The warm air at Abel’s Apple Acres is filled with the aroma of barbecued meats, freshly baked pastries, and caramel. The soft sounds of geese honking can be heard from a small pond near the parking lot. To the left of the gift shop entrance, visitors can enjoy browsing a plethora of vintage inspired cookbooks. These cookbooks are not the typical, glossy-paged type found in retail stores. These cookbooks have the kitschy charisma of gorgeously hand made heirloom church fundraiser cookbooks. The frozen pastry case is filled with bake-at-home versions of the pastries offered at the bakery window-including rounds of the pie dough. This area also features a gorgeously stocked case of decadent home made fudge, brightly colored candy apples, and caramel apples, enveloped with Abel’s signature caramel-which is also sold by the jar in the shop. The bakery area located to the right of the entrance features a cornucopia of hot, freshly baked desserts: pies, empanadas, fritters, turnovers, and doughnuts. The perimeter of the bakery area is lined with brightly hued mason jars filled with an assortment of handcrafted jams, jellies, apple butters. 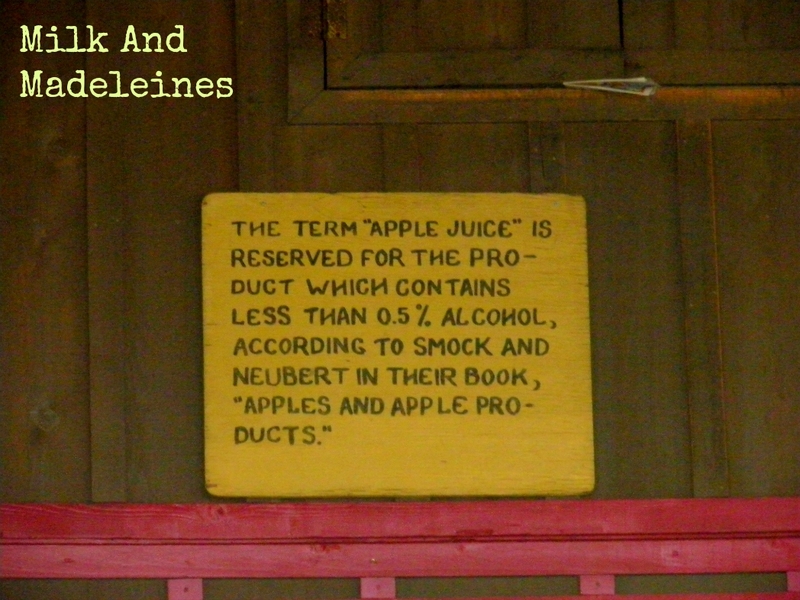 The most unique item featured in this area is a one-of-a-kind cider dessert sauce, which is ideal for topping any pastry, or as a cocktail syrup. After picking out a pastry of choice, cruise outside to a tranquil patio area. 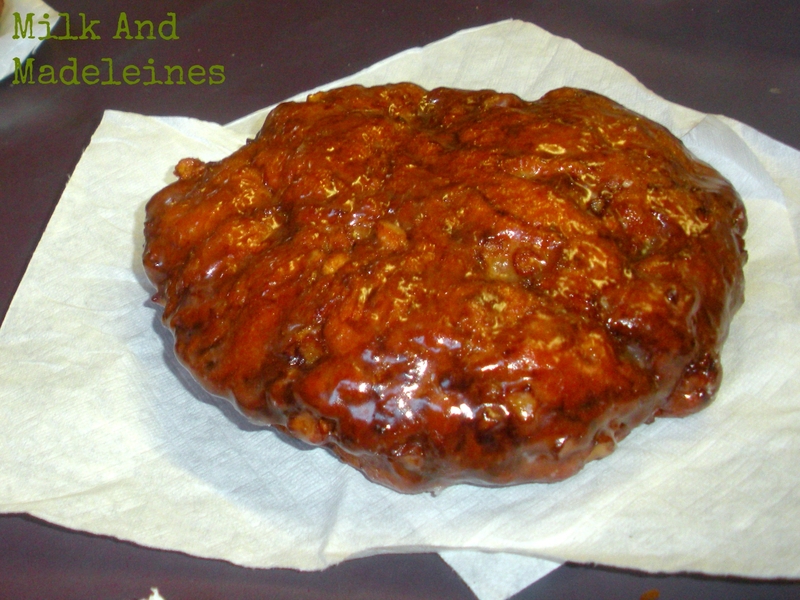 The fritters feature whole wheat flour, but don’t assume that they taste like humdrum health food. These fritters are fluffy, tender, and dripping with icing. 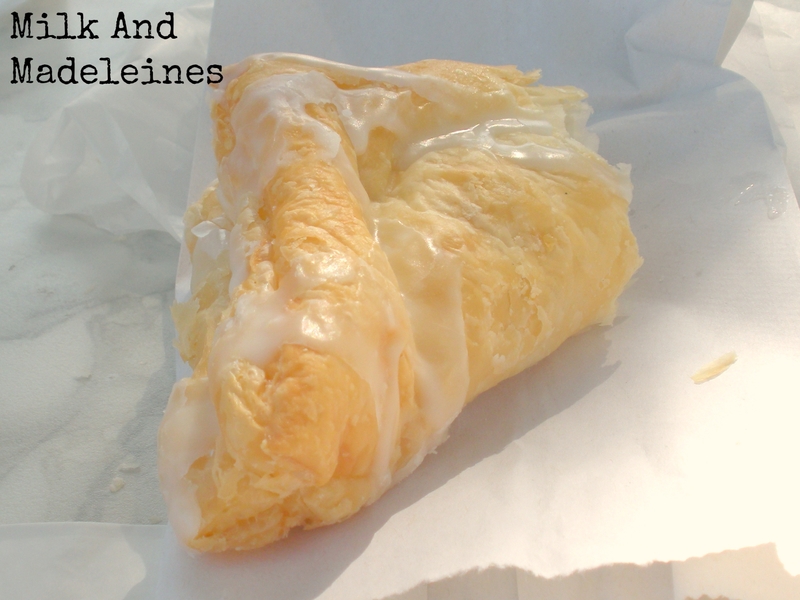 The turnovers are made up of tissue paper-thin layers of buttery flaky dough, creamy spiced cinnamon apple filling, and luscious icing. For those who may need a break from the sweets, the patio deck also features a barbecue window, called Terri’s Country Cuisine and BBQ, which offers classic grilled fare: hot dogs, hamburgers, french fries, and sandwiches. 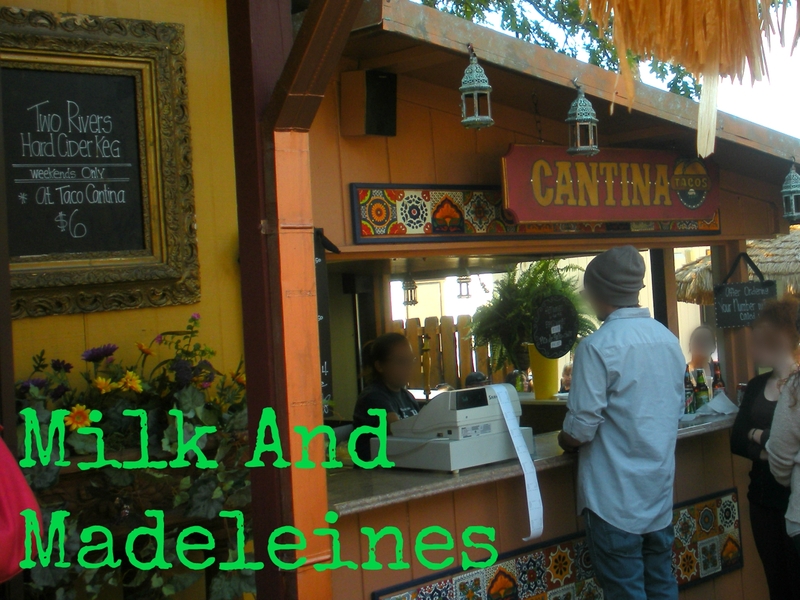 Outside of the gift shop area, local crafters and artisans sell handmade textiles, art, and bath products. One merchant in particular, the owner of Friends Of The Earth Lavender, was kind enough to offer free samples: generous handfuls of his aromatic dried lavender to shoppers as they passed by. 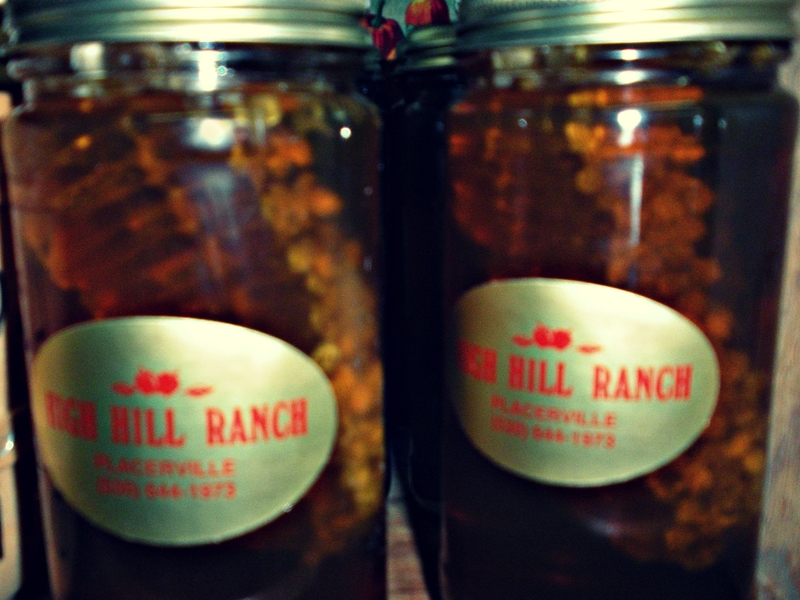 A short 4 minute journey leads to High Hill Ranch. 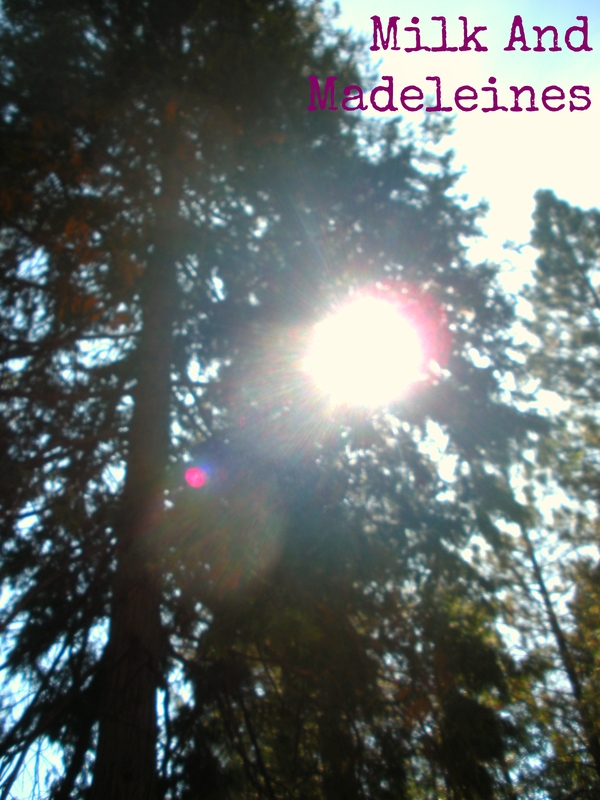 The entrance into the farm seems almost ethereal, with trees providing shade throughout the parking area. 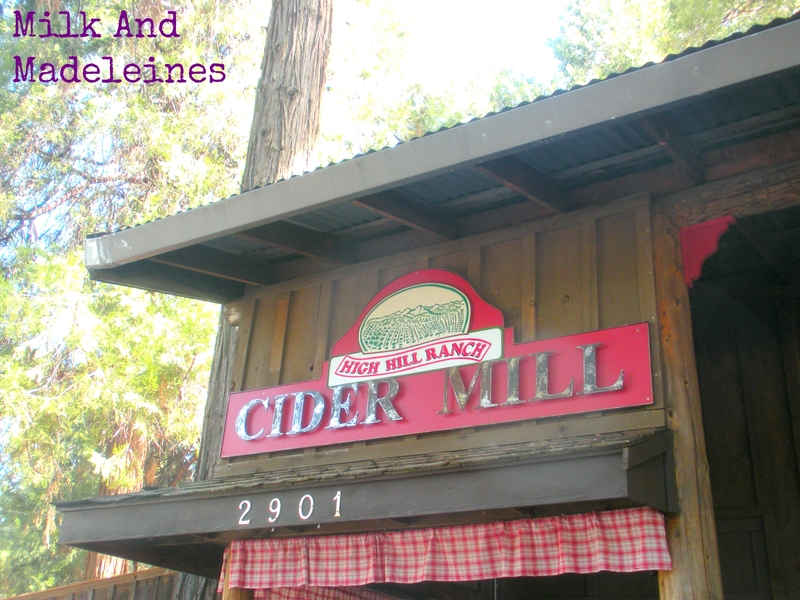 Visitors can park their cars in the shade, saunter through a wide selection of craft booths, and enter High Hill Ranch’s famous cider mill area. 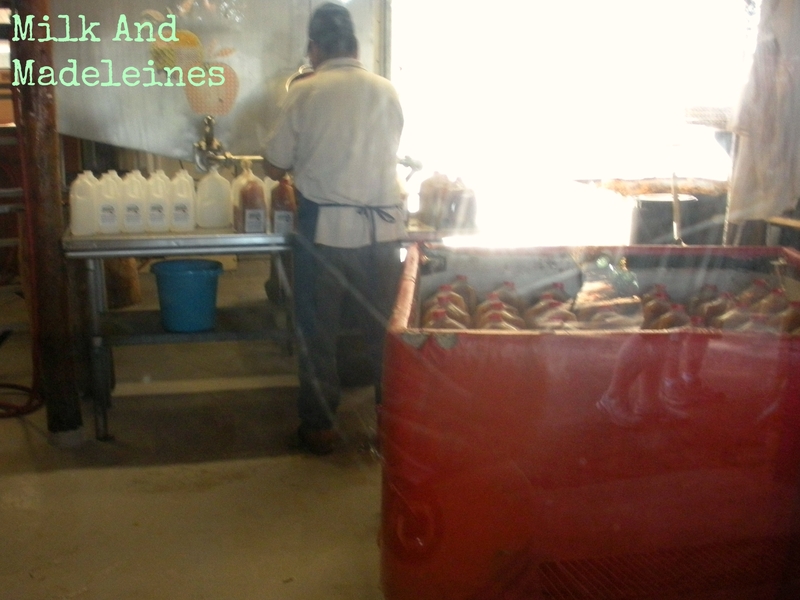 Peek into the cider press area as huge crates of just-picked picked apples are poured into the mill near the bottling area, and sip a free sample of cold, freshly pressed apple juice. 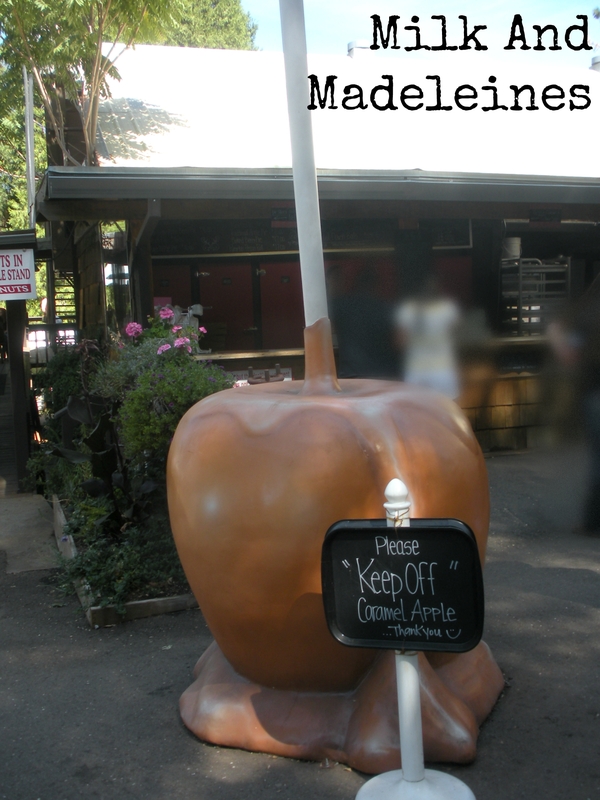 Visitors can enjoy pies (whole, or by the slice,) at the bakery window located behind a statuesque, giant caramel apple. 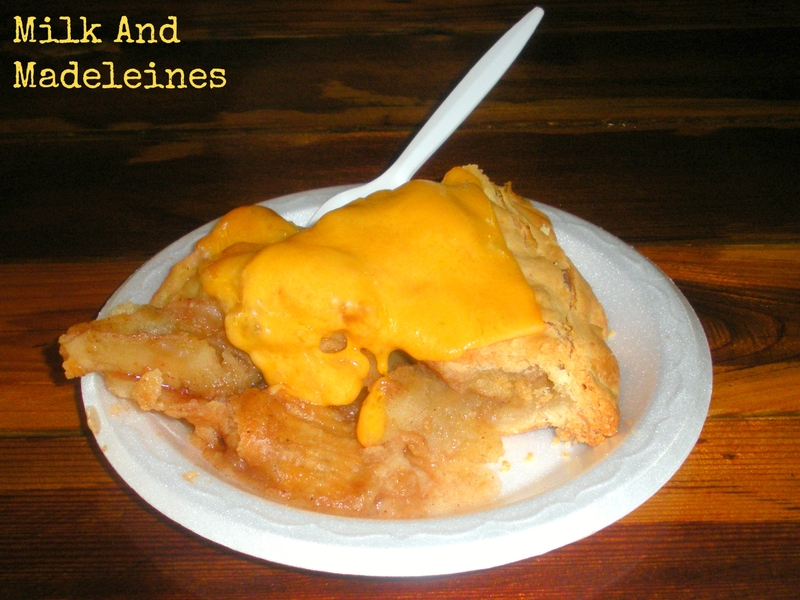 Just a few steps beyond the pie window and caramel apple, visitors can dine on snack-bar style food, and cheddar cheese topped apple pie at the Pie House Dining Room. The energy picks up during the trek across the paved walkway, into the Apple Stand. 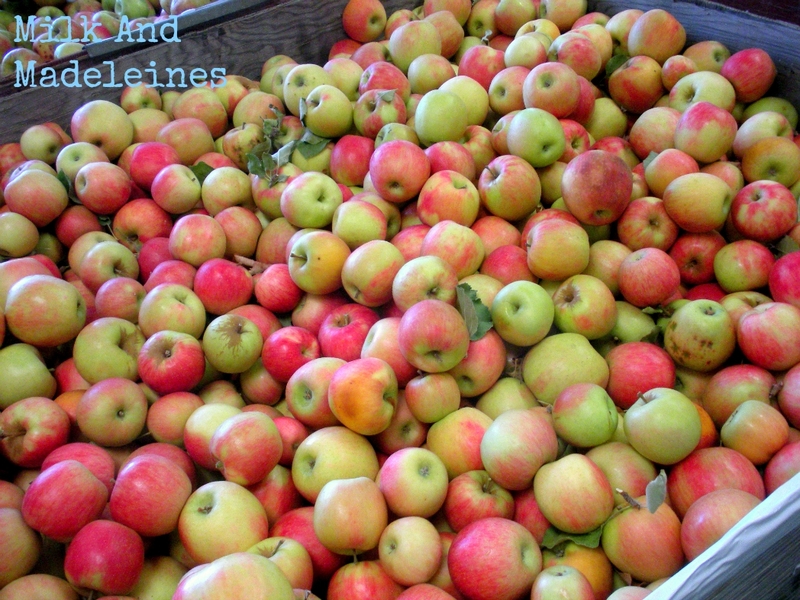 The Apple Stand is filled with massive bins of apples, sublime jars of pickles, sauces, jams, raw honey with the comb, and standout snacks, sold exclusively by the Apple Stand. 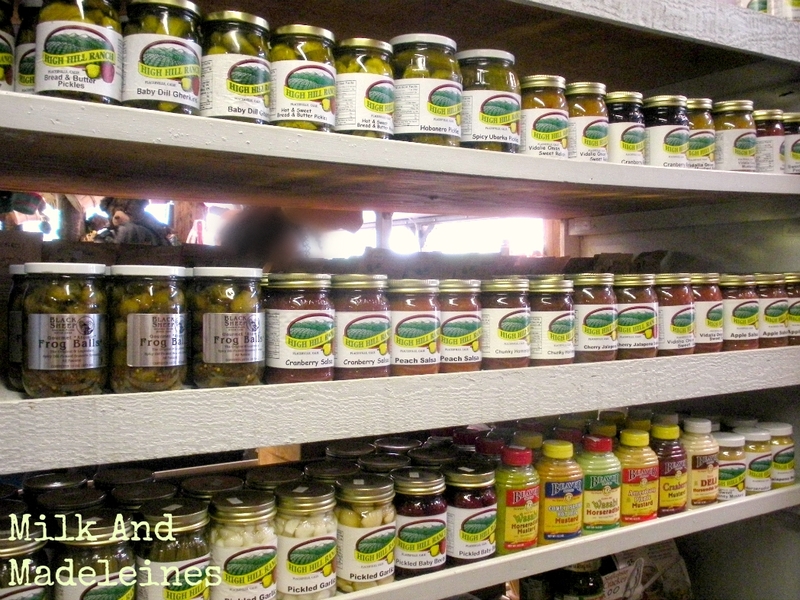 Inside the gift shop – shelves full of canned treats. Notice the “frog balls” on the left. These do not contain any frogs-they are pickled brussels sprouts! The doughnut counter is the highlight inside of the Apple Stand. 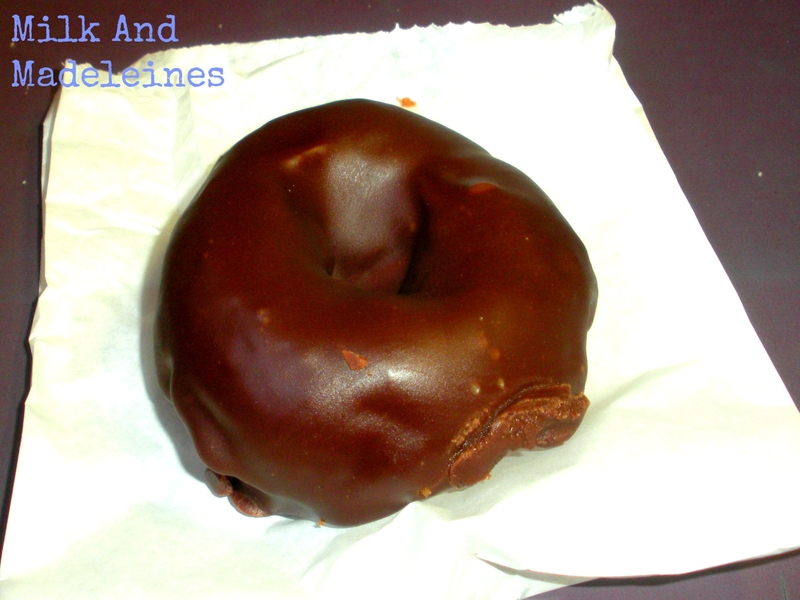 This doughnut counter offers doughnuts of all imaginable varieties, from extraordinary chocolate dipped cake doughnuts, to apple doughnuts, and of course, piping hot apple fritters. 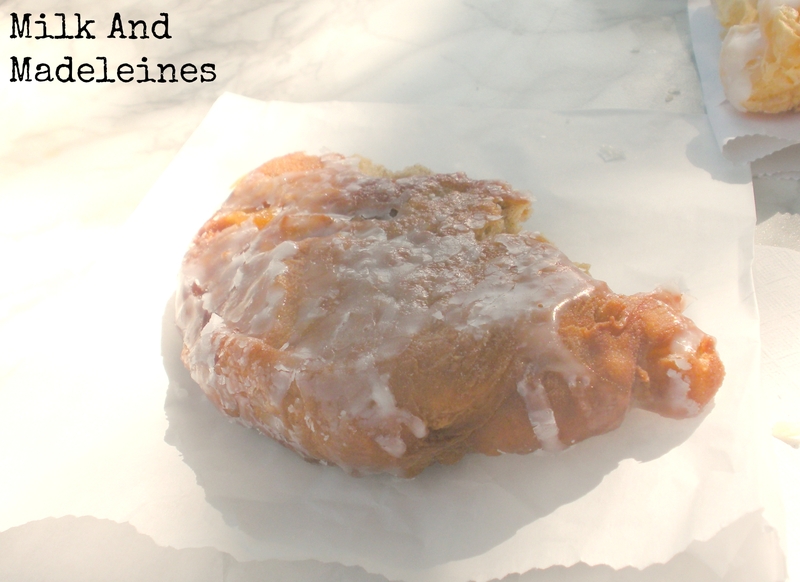 These apple fritters are larger than usual, and smothered with a heavenly, nectarous, caramelized icing. 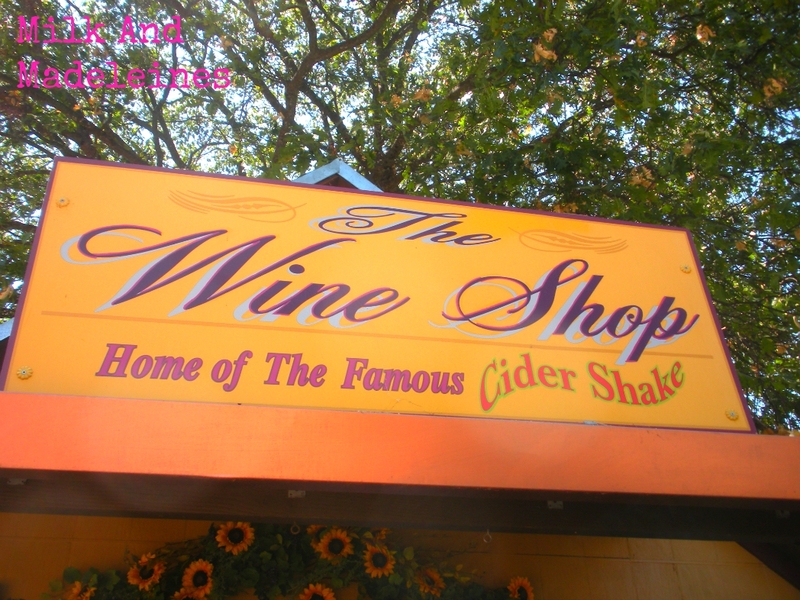 Next door to the Apple Stand, farm visitors can sample farm-created apple wines, and order a famous cider shake. 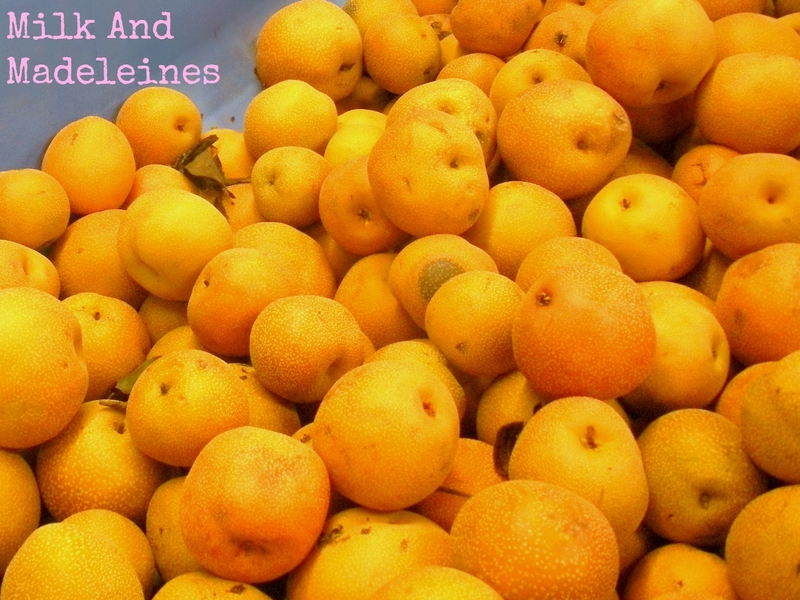 The apple wine is a white variety, while the apple pomegranate has more of a rosé characteristic. 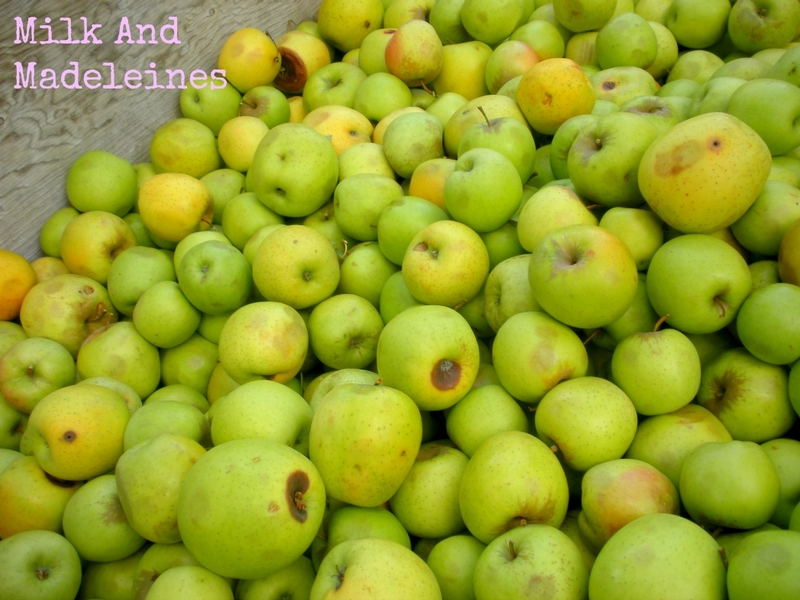 The apple wine is dry and invigorating, with a smooth honey aftertaste. 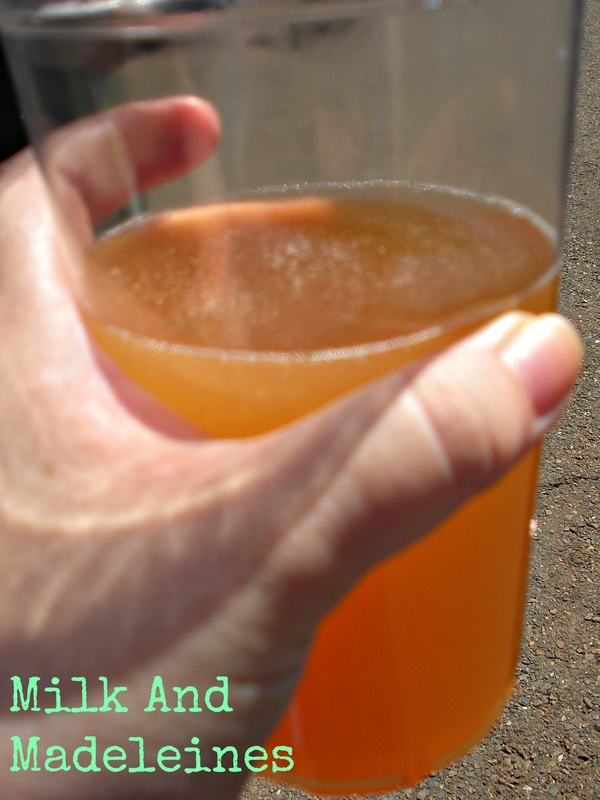 The farm’s signature cider can also be served as part of a cocktail, mixed with a selection of beers or with bubbly champagne. 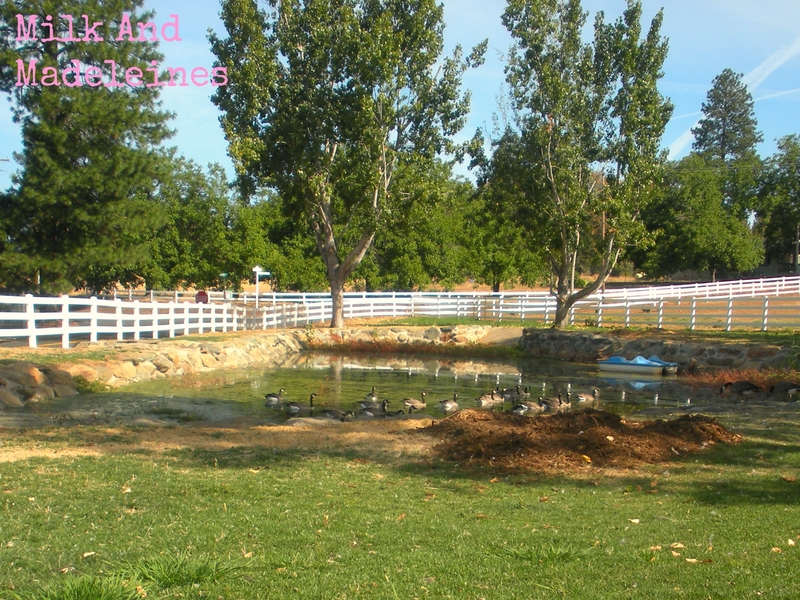 The most popular area of the farm seems to be the lake. Despite the fact that the rest of this farm becomes almost overly crowded, the lake remains a fairly noiseless area. 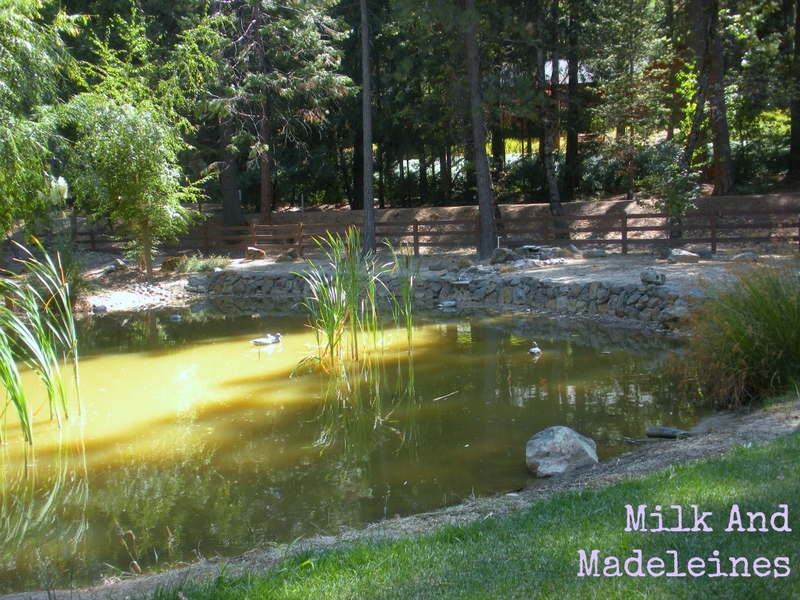 The lake really stands out as the majestic lead star of the farm, with ample seating, shade, and picnic tables lining the perimeter of the water. A brief 6 minute excursion leads to Apple Ridge Farms, which is a much quieter area than High Hill Ranch. This farm has an entirely unpretentious, celestial ambiance. 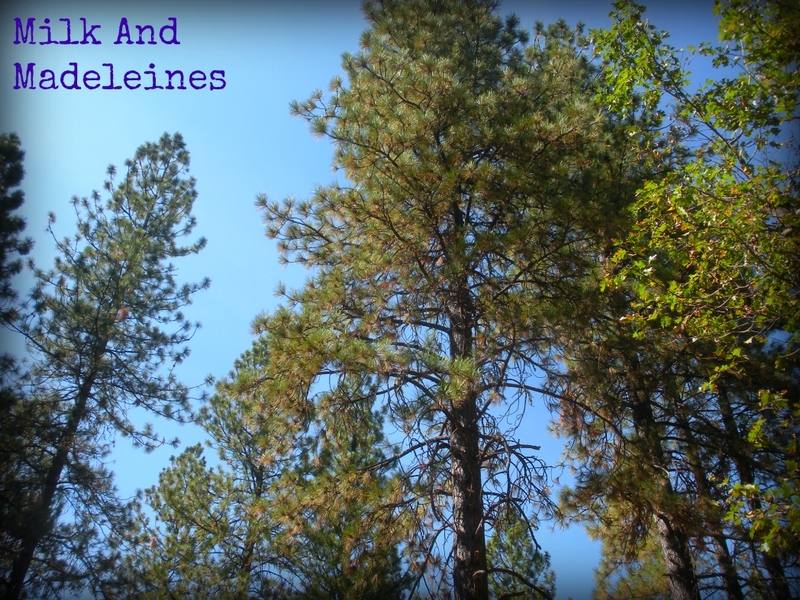 The entire area is surrounded by trees, and the volume level is low enough to hear birds gingerly chirping. 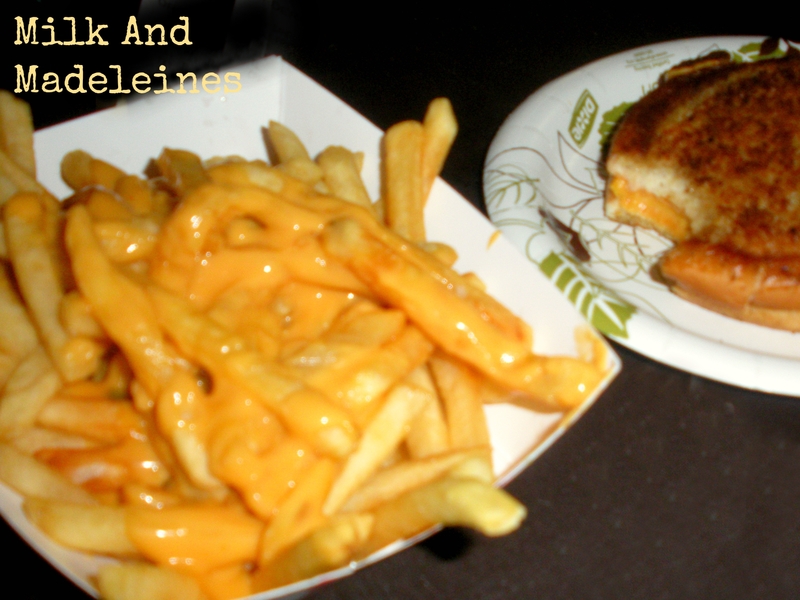 The picnic area is surrounded by food sources: the bakery, barbecue house, and craft fair. The bakery is a standalone building completely covered overhead by trees, with two screen doors. This means that the interior of the building stays cooled: an important factor in crafting the perfect pie crust. The bakery sells signature recipe crumb cakes, turnovers, streudel, and of course, pie. 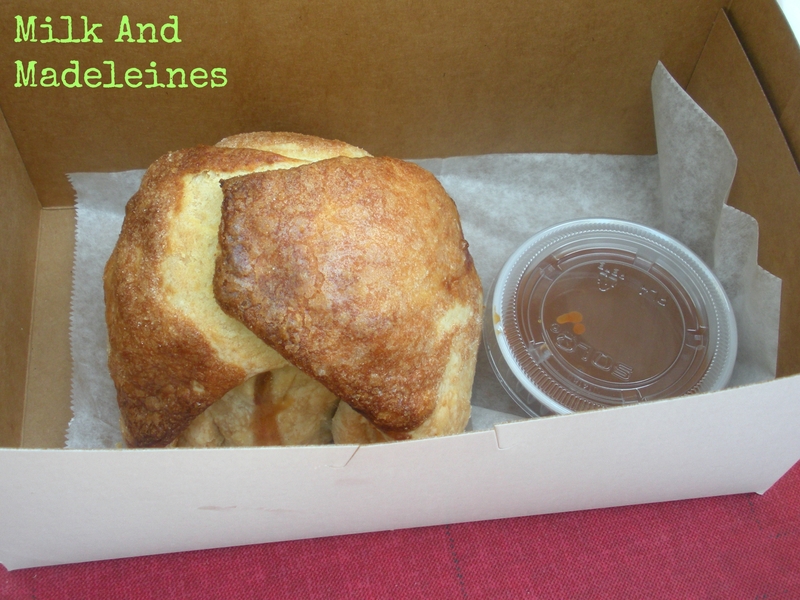 The most uniquely memorable item on the menu is the apple dumpling with caramel sauce. 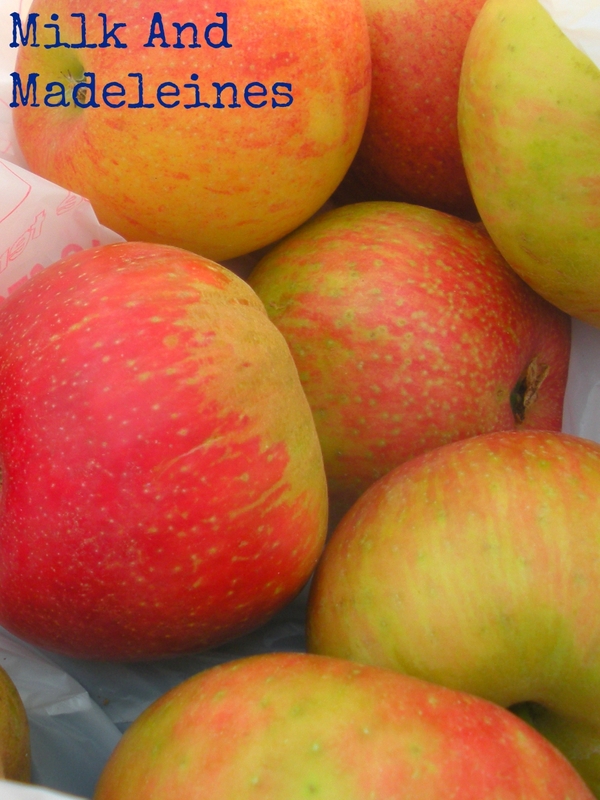 Rich pastry crust is wrapped around a supple farm grown apple, and then drizzled with their home made caramel sauce. It’s an experience that absolutely cannot be missed. 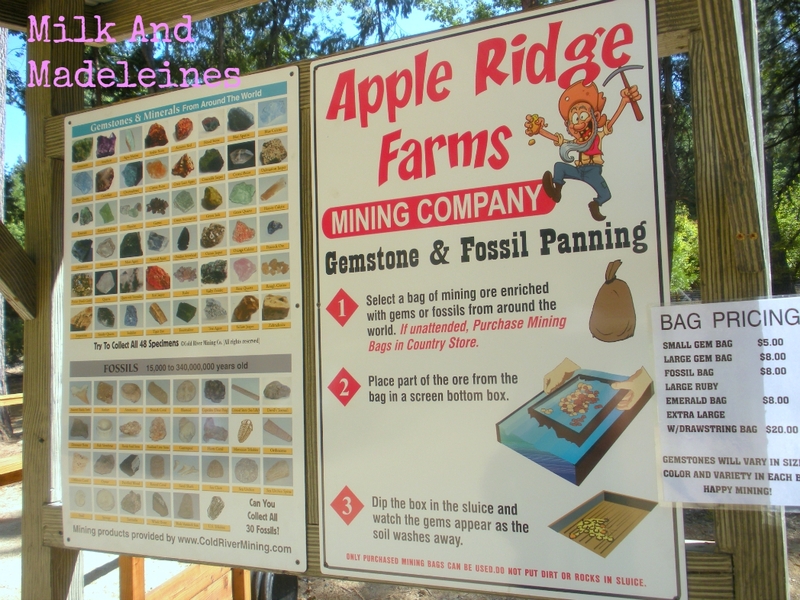 A few feet away from the parking area, children and children at heart can enjoy a history lesson about how this area of Gold Country got it’s name, by panning for sharks teeth, gemstones, and fossils, starting at $5/bag. 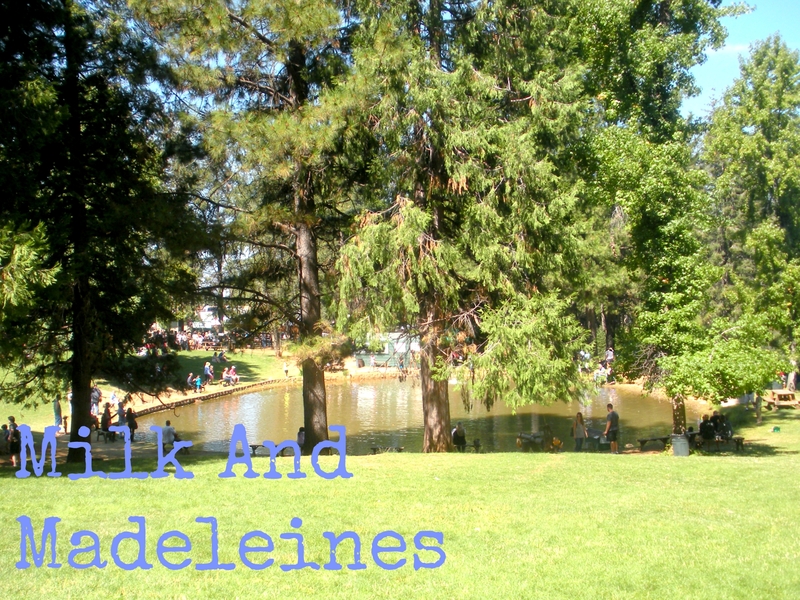 Next to the panning area, there is an eco-friendly lake for gazing. The Country Store at Apple Ridge Farms is filled with bake-at-home pastries, a fudge counter, snack mixes, free samples of creatively made sauces, and imaginative crafts, including painted iron and horse shoe art pieces. The fudge counter offers a selection of velvety, imaginatively flavored fudge, including a delectable lemon flavor. 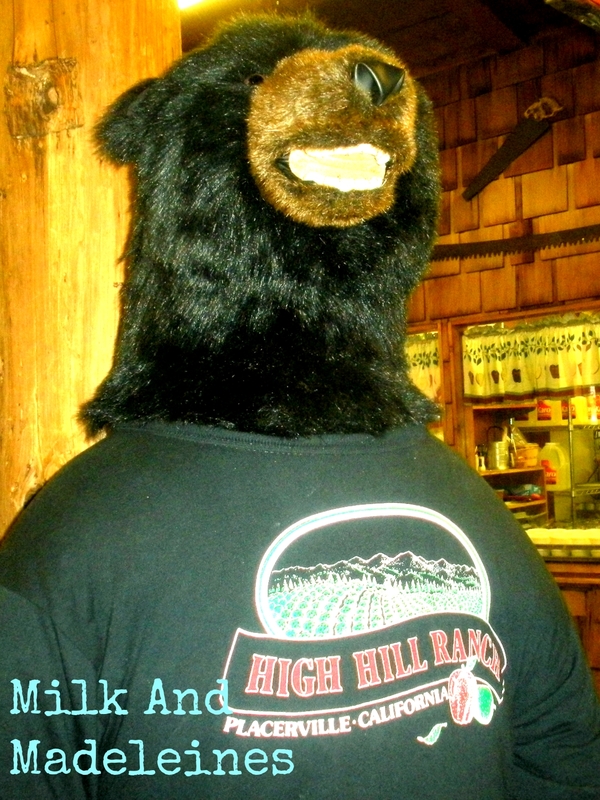 The most addictive snack at the Country Store is the golden caramel corn nuggets. These nuggets are sweet, with a hint of salty caramel flavor, and a texture reminiscent of a certain sugary popcorn-esque children’s cereal. 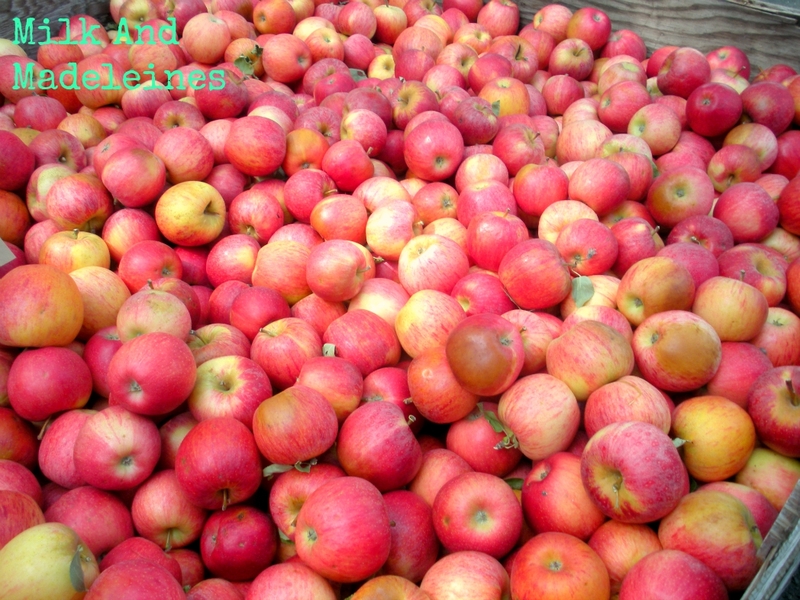 A comprehensive list of all apple farms of El Dorado County can be found at AppleHill.com. The farms are open now through November, with a peak increase in visitors anticipated in early October. < Previous From Milkandmadeleines.wordpress.com to Milkandmadeleines.com! Next > To Freeze/Make Ahead, Or Not?